Materials used to build homes and other multi-use structures vary in composition. Natural materials such as wood still remain popular, but the development of composite products that aim to improve structural performance has resulted in more cost-effective buildings. Structural insulated panels which have been around since the 1930s are a type of engineered product composed of a hard foam insulation layer sandwiched between two skin surfaces, typically made of oriented strand board. Since SIP panels are manufactured in a controlled environment, they can be customised and produced in different dimensions. The availability of SIP panels makes construction easier and more efficient. SIP panels have a variety of uses. They can be used for interior and exterior walls, ceilings, and roofs. They are also compatible when used together with other traditional building materials such as glass, brick blocks, tiles, quarried stone, and wood. Using SIPs also eliminates the need for wet substrate except when plasterboard will be used over it. In these instances, a thin layer of plaster is applied. The benefits of SIPs do not only extend to the occupiers of a building but transcend across different industries as well. Using SIPs is advantageous to the engineer, the architect, and the contractor of the building. How they benefit the designer and architect. Rendering a building design is easier when using SIPs. It gives the designer more freedom to create and be more artistic. Additionally, SIPs are highly compatible with different applications, whether it’s commercial or residential in nature. How they benefit the contractor. The process of installing and using SIPs is simple. It does not require specialised tools or machinery. Since these panels are pre-fabricated and ready to install, it cuts the construction time by approximately 66%. Benefits to the residents. One of the primary benefits of using SIPs is the superior insulation. The resulting structure is completely airtight. 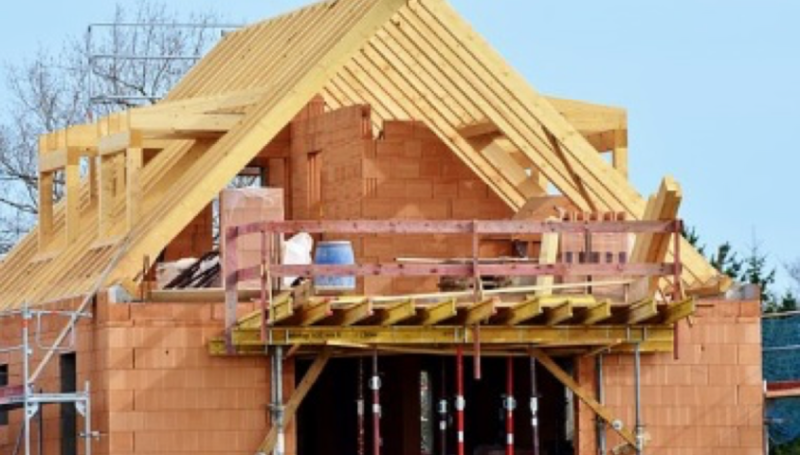 When used for roofs and ceilings, SIPs eliminate the need for trusses. As a result, the space beneath the roof can be used as extra living or storage space. In addition to this, a homeowner does not have to wait as long to wait for the building to be completed. It also saves the homeowner money because labour cost is also reduced. Since SIPs offer superior insulation, a homeowner also saves money on energy bills in the long run. SIPs also act as a soundproofing element which makes the home quieter than others built using traditional frames. Modern building materials like SIPs were designed not only to make it easier for builders to complete their projects but primarily to benefit the owner of the structure. They are readily available in many construction supply stores. In fact, due to the popularity of this product, some suppliers are completely dedicated to the production and distribution of SIPs. In the UK, it is also a widely used material. While it was historically developed in the U.S., the beneficial properties of SIPs have also been realised in this part of the world. Which Type of Shed Fit You?